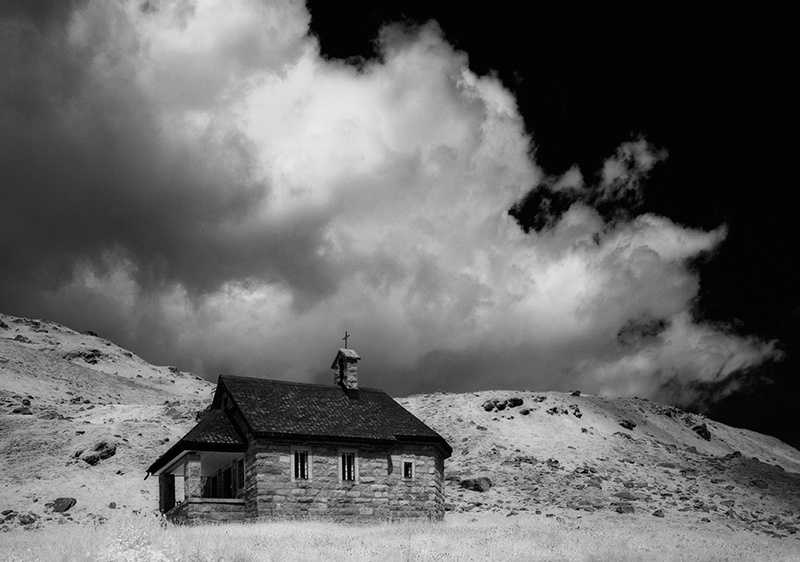 Deborah Sandidge: Broaden your photographic horizons, shoot infrared! Broaden your photographic horizons, shoot infrared! Infrared photography can give you a new outlet for artistic expression by allowing you to shoot traditional subjects in novel and interesting ways. A color photograph converted to black and white is quite different from a black and white infrared image. Nothing can quite compare with the surreal factor of bright white foliage, a dark sky and the uniqueness of how infrared light is reflected and absorbed by different surfaces. Infrared photography is a wonderful way to broaden your photographic horizons and expand your creativity! Interested in learning more? Please check out my book Digital Infrared Photography published by Wiley, available at bookstores and online at Amazon. I also teach Infrared Photography at BetterPhoto.com. I'll be speaking about infrared in April at Florida's Birding and Photo Fest, and in June in Ontario for the Canadian Camera Conference. I hope to see you at one of these events!